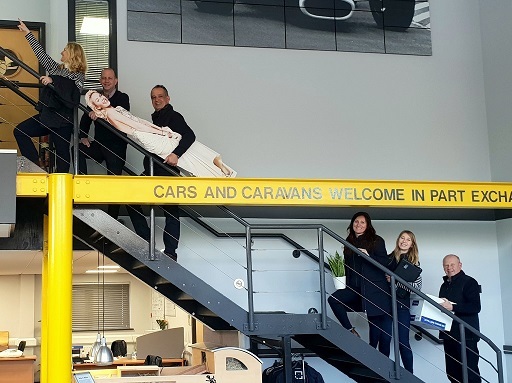 Nottingham-born Paul Santos was no stranger to the motorhome industry having cut his teeth as a salesman twenty years ago before moving on to be a Sales Manager and then General Manager for major UK motorhome dealerships. This culminated in a move to Canterbury and his passion for the industry was set. 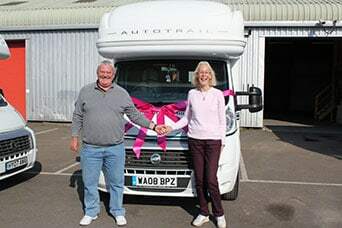 He was trading motorhomes for himself in 2007 when the lure of an empty site in Canterbury, next door to the reduced-sized Brownhills, proved too tempting. 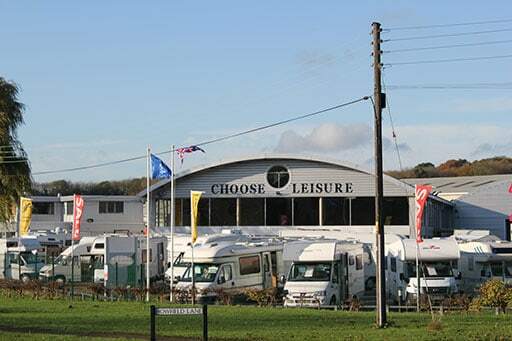 In 2008 Choose Leisure was born. Paul tells the story "We started out with just three of us. 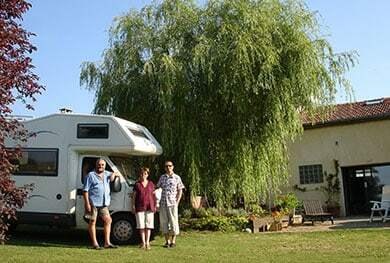 Me with my mechanical, sales and business background, my wife Jenny, whose experience in accounts and marketing have proved to be invaluable, and Wayne who had worked as a salesman for me before. 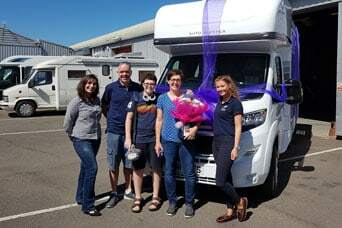 We had about six vans which we would clean and rearrange every day to make it look busy!" The timing couldn't have been worse in terms of the country's economy with recession being declared in the autumn of 2008. Paul said "It was a tough start. We sold our house and invested absolutely everything we had. It was a huge gamble but we’ve never looked back." The team started to grow... Left to right: Jools, Wayne, Paul, Steve, Pete & Chris. Choose Leisure created ‘Motorhome Brokerage’ as a hassle-free way to sell for a higher return. Can you tell we had a little more time on our hands back then...? A successful summer meant we started to need more space for our 'sold' row. Business was definitely growing despite being in the middle of the recession. 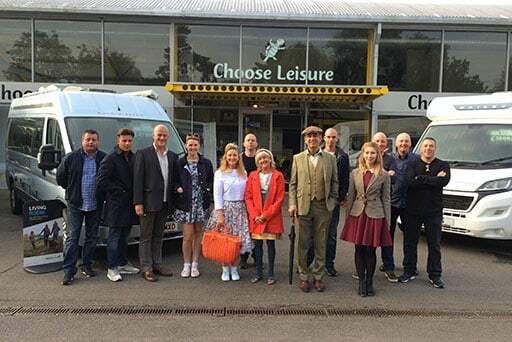 Increased sales meant a growing number of happy Choose Leisure customers, many of whom have come back to buy from us on more than one occasion. Our feedback page says it all: Choose Leisure Customer Feedback. 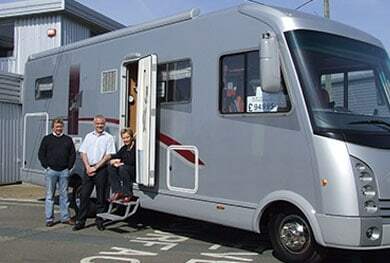 The South East lost two major dealers of the time back in May 2009 when both Brownhills and Discover Leisure closed their sites in the area. 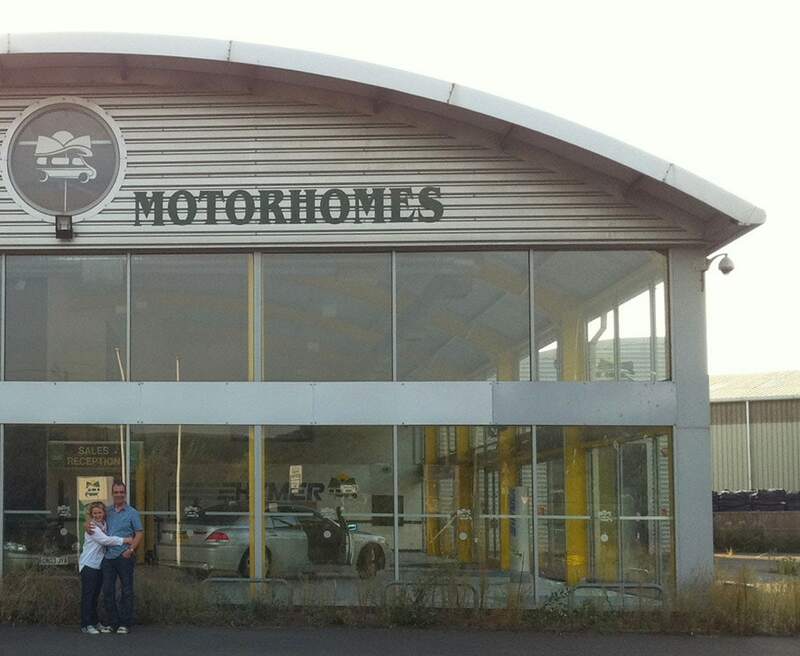 Business went from strength to strength for Choose Leisure and in September 2011 Paul and Jenny purchased the former Brownhills site and showroom on the A28 in Chartham. 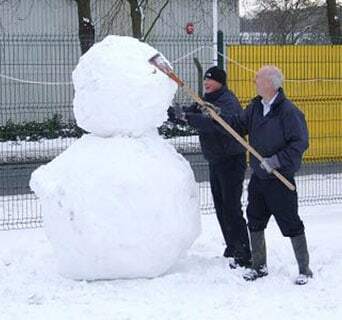 ...It Didn't Take Us Long! We always make time to have some fun! 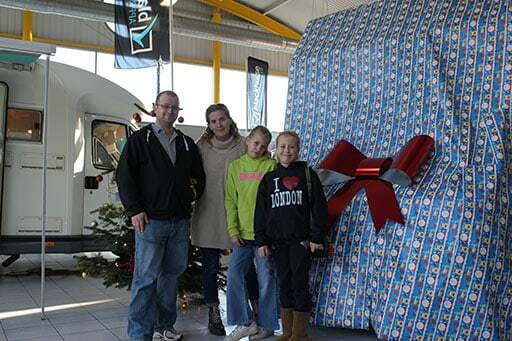 We wrapped an entire Elddis Autoquest 160 as a Christmas present from Mr and Mrs Taylor for their very excited daughters. 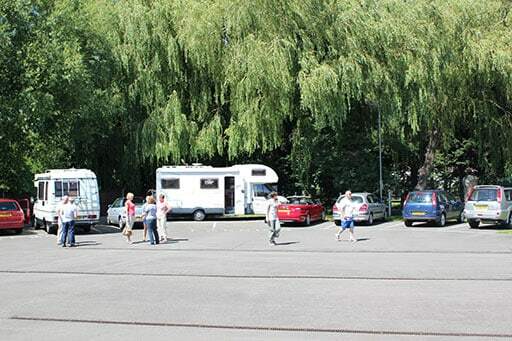 A full pitch of stock attracted a full car park and used vehicle sales were rapidly gaining momentum. 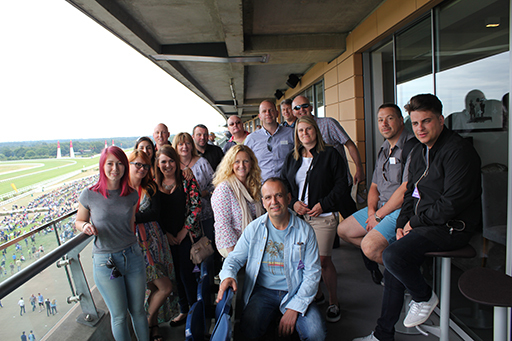 To celebrate great results we organised a day away for the whole team. 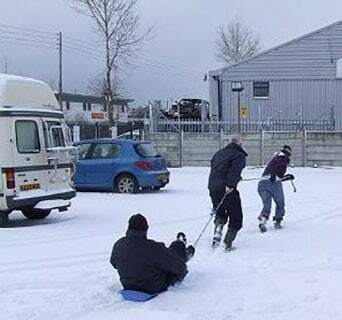 We've done something different every year since, meaning a number of fun trips for all! 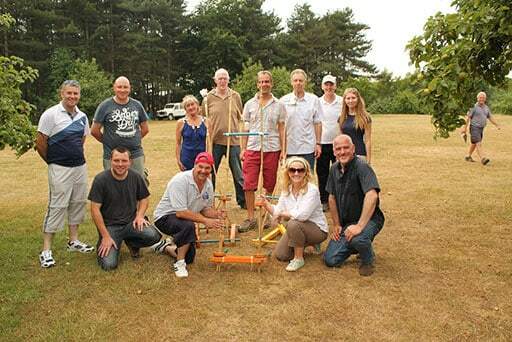 In 2013 we teamed up with Kent County Cricket Club who are based very locally to us in Canterbury. We have been proud sponsors ever since. 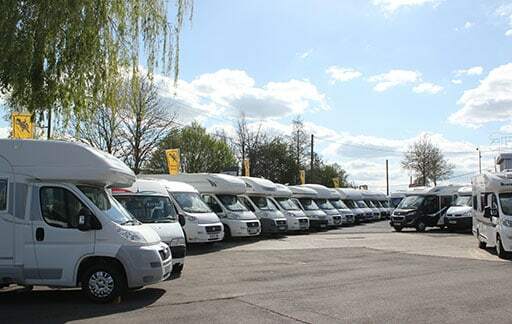 In February 2013 we took delivery of our first brand new Auto-Sleepers. Despite having been offered many new franchises, we felt that this was the right partnership. The quality product is backed up by quality support which is vital for our business and our hard-earned reputation. 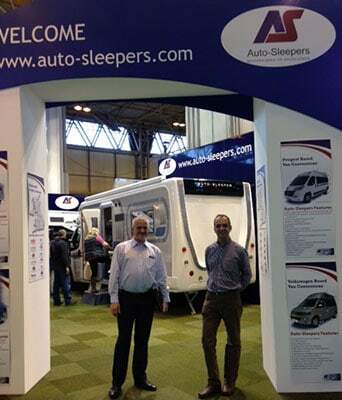 Now selling brand new Auto-Sleepers, Wayne and Paul went to trade on the Auto-Sleepers stand at The Caravan & Camping Show at the NEC in Birmingham. 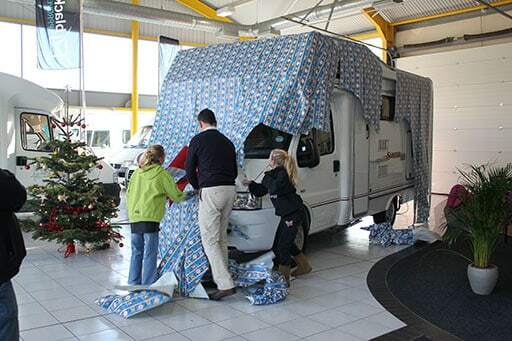 It was at the show that we took our first order on a new van. 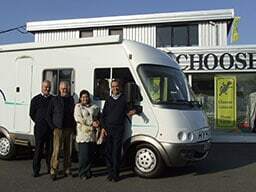 To date, we’re delighted with our level of Auto-Sleeper sales and plan for it to be a long and fruitful relationship. 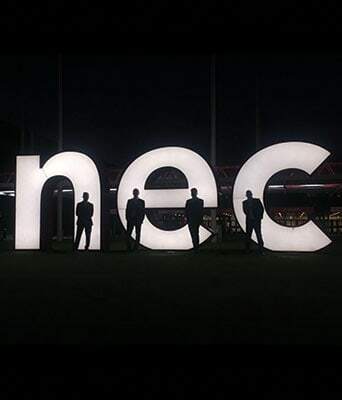 Here are the boys posing at one of the latest NEC shows. Our team began to expand more rapidly. As we continued to grow busier we needed more hands on deck and Dom, second from left, joined us as Sales Manager in 2014. 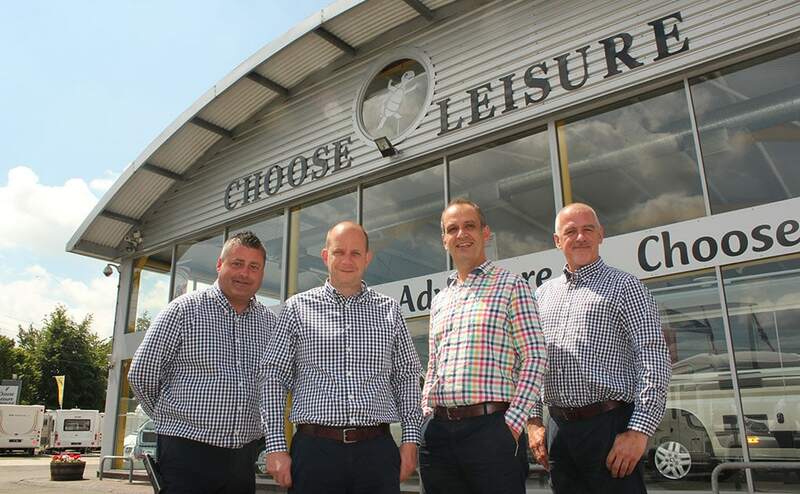 He now keeps everything in check as General Manager at Choose Leisure. 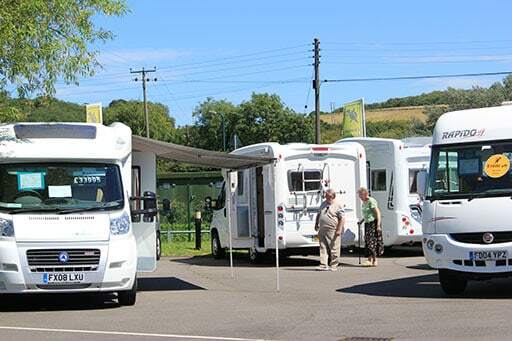 The UK Summer Motorhome & Caravan Show came to the Detling Showground in Kent for the first time. Being on our home turf, we were keen to have a stand there and have been back every year since. 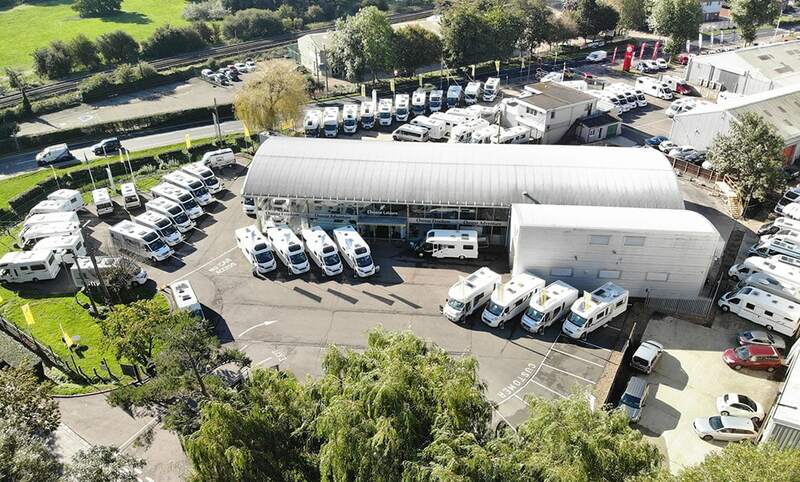 To continue our growth in the new sales market, we took on the Bailey franchise, specialising in the Advance range but later broadening to the Autograph and Alliance. Charlie joined us as Service Coordinator (now Service Manager) and we became fully equipped to carry out mechanical servicing alongside our existing habitation workshops. Father and son, Tony and James Spriggs, made up our Mechanical team. The youngest son of the Spriggs family, Curtis, has since joined us as a Hab Technician - truly a family business! 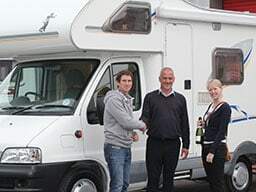 We have always loved selling to people who are ready to start their adventures in a new motorhome. 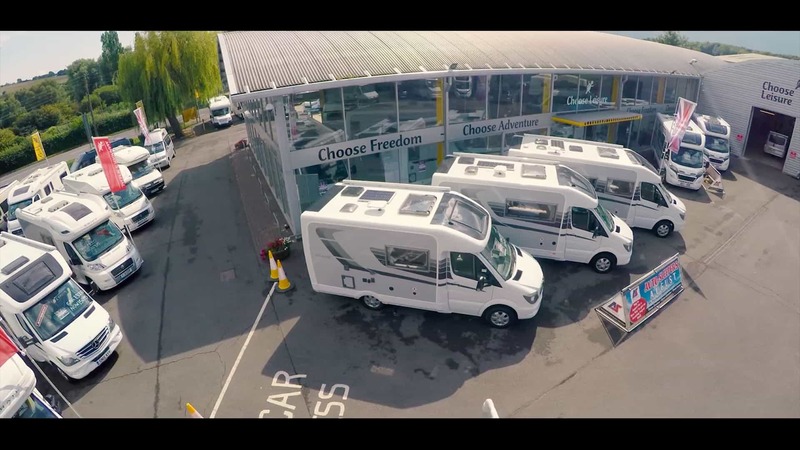 Choose Freedom, Choose Adventure, Choose Leisure! 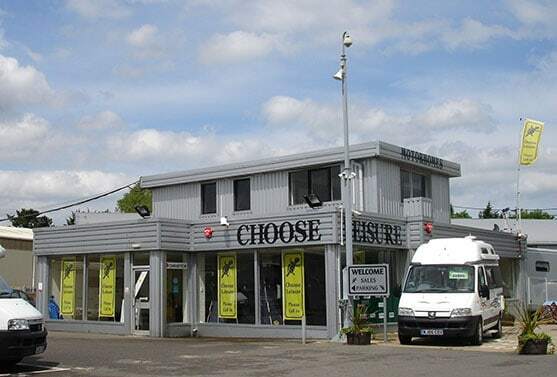 In 2011, when we took the huge step of buying our current showroom, workshops and forecourt, we gave up half of our previous site next door, thinking we’d never need it again - little did we know! 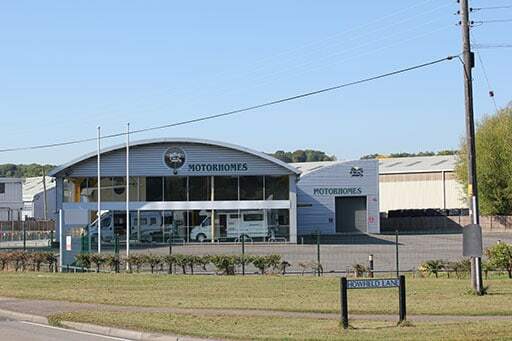 We were bursting at the seams so were delighted to have taken that site back over again giving us another huge workshop and masses more forecourt space. 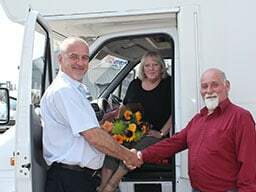 Having recently expanded our upstairs store rooms into bright and airy open-plan offices, Paul, Jenny, Dominic and Molly move up to their new homes to make more space downstairs. Sharon (Finance Assistant) and Gary (Finance Manager) joined us to make the new finance team. Having celebrated our 10th birthday, we just want to keep getting better!